Cooler temps and falling leaves mean fall is here! 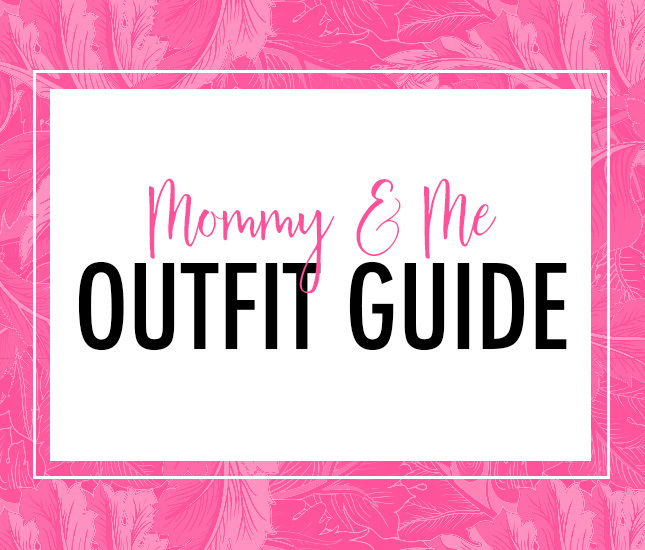 We're ramping up for fall by gathering some of the cutest and softest Mommy & Me outerwear looks! Oh, and did we mention they're ON SALE?! 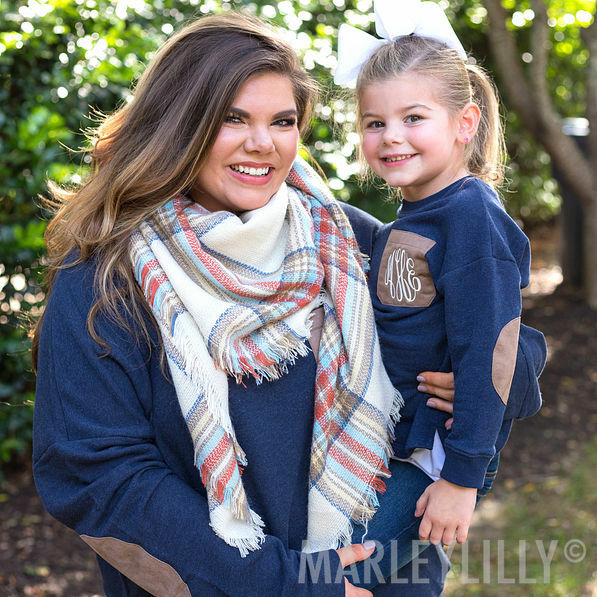 Be sure to check out Marleylilly and Marleylilly Kids for a full list of the outerwear sale and pick up some fall looks for you and your mini! As if these deals weren't hot enough, spend $75 on Marleylilly and/or Marleylilly Kids items and receive a FREE fringe scarf! Happy shopping! Our Sherpa Pullover Tunics have never looked so cute! This tunic is so buttery soft and cozy for you and your mini to wear during those chilly fall mornings! Available in warm camel and dark teal for both Mommy and Me! 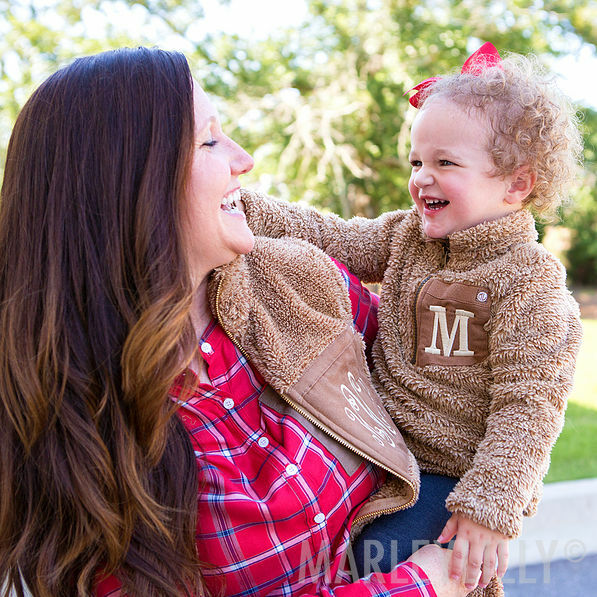 This Sherpa Pullover is a fall staple that you need for you and your mini! The pullover is so soft and cozy you'll want to wear it all season long. It features a snap closure, fold-over collar, and an adorable plaid pattern on the inside! The Monogrammed Preppy Patch Tunic is a fall essential that everyone needs in their closet! The adorable tunic features the softest sweatshirt material, elbow patches, and a faux monogrammed pocket. 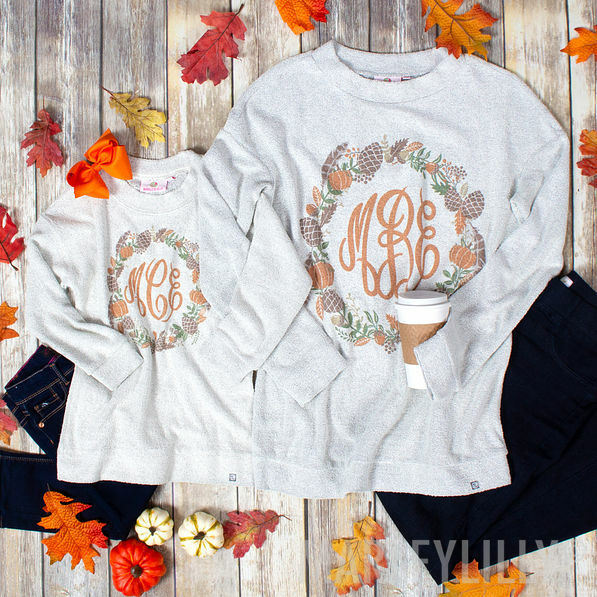 We are FALL-ing in love with the Monogrammed Terry Pullover! The pullover is made from a comfy loop knit terry and features so many different monogram designs that you can choose from! Match with your little one in this adorable vest! The outerwear piece has a quilted side with a monogram with a plaid lining. Can you say LOVE?! Everyone's favorite shoes are now available for the whole family! 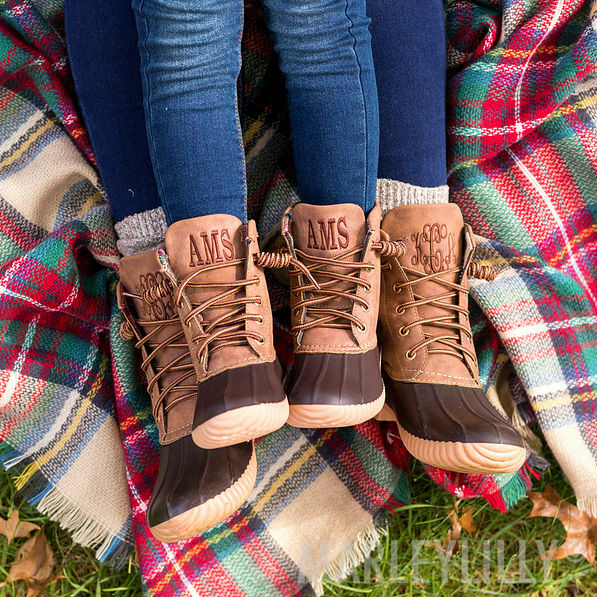 Monogrammed Duck Boots are available in Adult, Youth, and Toddler! Pair with our Duck Boot Socks to keep your feels warm and and stylish all season long! 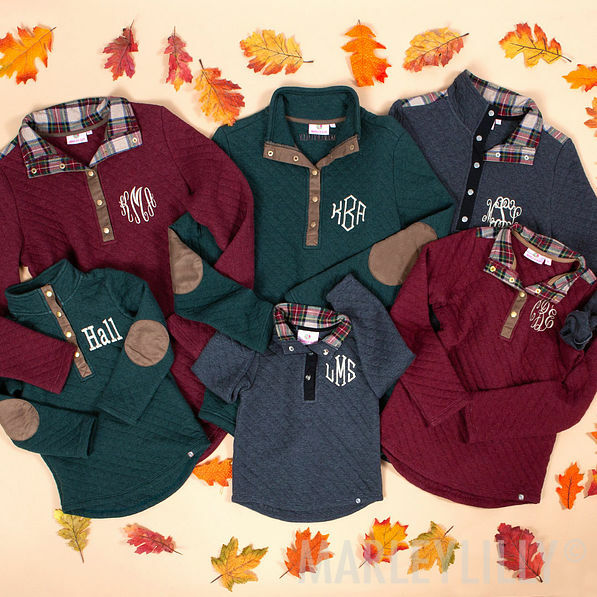 The Monogrammed Quilted Pullover Tunic is a must have for fall! The tunic features a soft quilted material, elbow patches and a plaid detailing on the back! Snag your favorite colors while they last! So classic and so cute! The Monogrammed Pullover Sweatshirt is the perfect outfit for running errands or just hanging out around the house. The sweatshirt features a 1/4 zip neckline, heathered fabric, and the softest inner lining for extra style and comfort! Add a pair of Monogrammed Athleisure Sneakers and you have the perfect fall #OOTD!